The wax figure of Mahatma Gandhi is another showpiece in Seoul 63 Wax Museum of South Korea. As we all know that Mahatma Gandhi was the exceptional political and ideological leader of India during Indian independence movement. When it comes to democracy and human rights, Mahatma Gandhi will be mentioned. That's why it cannot be denied that Mahatma Gandhi is a symbol of democracy and human rights. 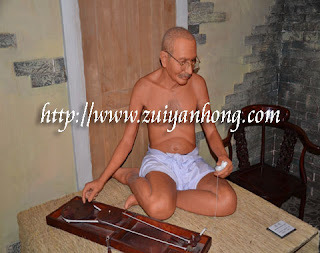 Remember to take a photo with the wax figure of Indian great ideologist when you drop in Seoul 63 Wax Museum.